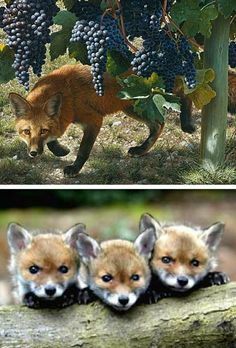 The saying is as old as time .... "The little foxes spoil the vine." .... Yes, the "little things". in and catch us unaware. So if it is the 'little things' that steal our goods, first and foremost, we need to know what some of those things are and how we can be vigilant to guard our treasures and our goods? ....While those little foxes may look cute, they watch and wait for the right moment. No mistake, they are cunning, crafty, and sly. And it is clear: their mission is to steal and devour all we have worked so hard for! Little foxes come in many guises ....Many look quite harmless. ...::Only you know how temptation comes knocking at your door in disguise. Yours may differ from mine, but you and i can be aware and don't let the tempter in ..
when to tactfully say 'No" and outwit our tempter. Couldn't open your blog today so I came in here and looked at this one. So real, those little foxes. I can see why they would use the little foxes in the metaphor. They are just so cute, they could tempt anyone. Be careful of little foxes. 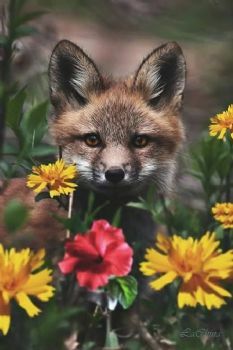 Excellent article....and who knew that the "little foxes"
If we aren't careful those little foxes turn into big foxes and then we're really in trouble! Great blog!! Very clever post-good analogy or metaphor! Now that was just a foxy way of making a great point. What a great lesson this is for all of us, old and new!! blog, We must be forever vigilant and stay committed to our goals. for sharing. I enjoyed reading your blog. on your Voted Featured Blog Post. Too bad , they are so cute. Your blog dovetails with mine, "Lead me not into temptation for I can easily find the way myself." Love the little foxes, just don't listen to them and have a better plan B on hand. Thank you, Jan, and well said! I'm having Fibro Fog and can't seem to get my thoughts down today. Such a creative way to remind us of the many "foxes" in our lives. I enjoy your writing! thank you .. loved this blog ..
yes they can come from the road between our ears .. justifying a reward ..
all kinds of foxes ..
thank you for shedding some light on the sneaky cute ways of the foxes in my life ..
going to be interesting as to my responses when i say no to me or others ..
NO is a complete sentence my dear friend advised me years ago ..
it requires no explanation ..
no , no thanks , not now , sorry can't do that .. nope .. notta ..
Great blog! You're so right about ways we "justify" eating (fill in the blank), whether it be food-pushing by someone else or a me-craving that needs to be scratched. I'm doing better a controlling my cravings but still working on tempering "people-pleasing" firmly without sounding rude. Thanks for posting. Love the photos! So cute! The message is so true though. I must keep on my guard and stay with the program as I move forward to a healthier self. Thanks! But they are soooooooo cute and tempting! Great blog. Awesome way to make the point about those little things and how they can add up. 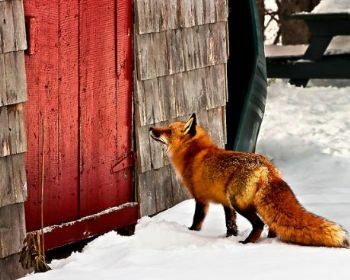 Good reminders not to feed those cute little foxes! Not even a crumb. Good thoughts! Usually it comes at the hands of someone else offering something that we do not have a good response to not partake. Yes, sometimes the little things trip us up... and sometimes life just flattens us. Well done! 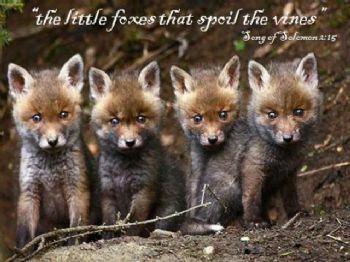 The little foxes in my life are cute & destructive - I need to watch out for them! You write the most wonderful blogs, enjoy reading them. They always have a message for us on a topic many of us struggle with at some time. We need to stay alert to stop the sly, clever ones trying always to give us something we don't want nor need. Even if it is ourselves trying to convince to eat or drink something we really don't need. Cute tale (tails) Little foxes can out fox us all and I have many to get a hand on and tame. Thanks for a fun and great blog!! Your blog reminds me of John 10:10. However, if you keep reading our Good Shepherd is there for us ALWAYS!!! I will rely on my Good Shepherd and did you know that if you catch that thief according to Proverbs 6:31, the thief MUST pay back sevenfold even if it costs him all of the wealth of his household!!! What a sly little blog!!! I loved how you explained the foxes tempting us. We must be wiser than those cute little foxes. Keep up the great work. Hugs! !